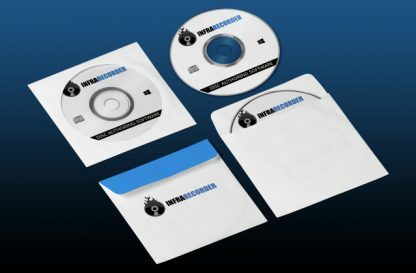 InfraRecorder is an excellent alternative to traditional CD/DVD burning software, similar to Nero it supports disk rewriting and dual-layer DVDs. InfraRecorder can also burn a disc from an ISO image file. This program is completely portable on the Windows operating system. InfraRecorder works with Windows based PCs. InfraRecorder is an excellent alternative to traditional CD/DVD burning software, similar to Nero it supports disk rewriting and dual-layer DVDs. InfraRecorder can also burn a disc from an ISO image file. This program is completely portable on the Windows operating system. As of the latest version, InfraRecorder offers features similar to most CD- and DVD-authoring software, including the creation and burning of data and audio disc images, the ability to work with rewritable and multisession discs, and the ability to extract WAV and ISO image files from discs and the ability to burn audio track CDs using the LAME Encoder. 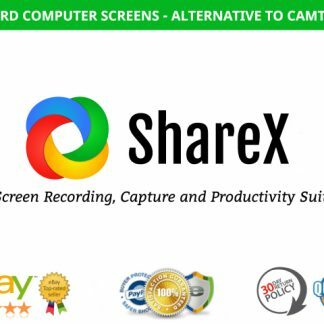 This is a full featured media burning suite that works very effectively, it’s lightweight in resource usage and runs on most Windows machines. 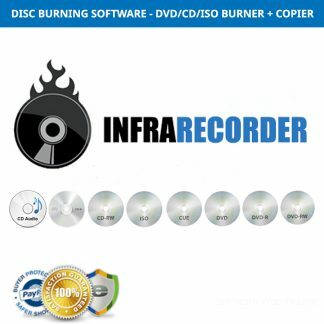 There is no shortage of disc burning tools on the market, but InfraRecorder has enough features, ease of use and flair that will convince you to switch. It is also being offered at a competitive price so you donât have an excuse for skipping it! Packed with features that allow the creation of CDs and DVDs, InfraRecorder also boasts Windows Explorer integration and support for custom data and audio projects. Letâs analyze the features of InfraRecorder in this quick summary. The keywords that manage to define what InfraRecorder is all about are lightweight and fast. Small in size, you will have no problems installing this fantastic little tool. 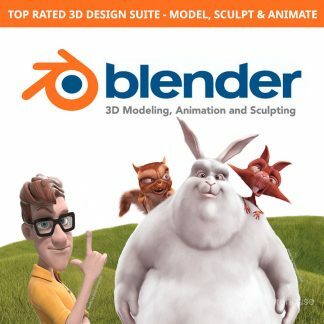 In terms of system requirements, there is absolutely nothing to worry about because as long as your PC sports more than 32MB of RAM, most computers today sport at least 1 GB of RAM minimum these days, you should be fine here. Aall of the available versions of the Windows operating systems since Windows 98 are supported. You should be happy to find out that InfraRecorder doesnât come with adware/spyware or other programs bundled either. No nagging, no subscriptions and no reason to spend more! Letâs move on to InfraRecorderâs interface! A very easy to use program that will allow you to burn CDs and DVDs, InfraRecorder offers an intuitive interface. A window with up to 4 panels is provided upon selecting the type of operation (for example, Data Disc). The 4 panes are the Explorer view, Disc layout, a list with all of your files and folders that you wish to burn and another window when you can make certain modifications such as edit a file name. The menu bar as well as the drag and drop feature can be used too. InfraRecorder offers a wide range of excellent features. For example, custom data such as data discs and audio CDs can be easily created with few clicks, disc images can be recorded and you can also create disc copies for backup of important data. When it comes to burning MP3 files to a CD, you are presented with two choices. You can either use the Audio Disc feature and the files are burned using the .cda format or you can preserve the MP3 format by choosing the Data Disc feature. Another useful feature of InfraRecorder that is usually only found in more expensive commercial software products is that multiple copies of a CD can be queued to be burned. The best aspect of InfraRecorder lies in its functionality and ease of use. There are no plug-ins, splash screens or unneeded add-ons here â just a fast and effective burning tool that works on a multitude of systems with little resources. After playing with this for a week, Nero (even free Nero Lite on my other PCs) are now uninstalled. Great tool! CD/DVD burning finally grew up. After years of trying various programs to burn disks I finally found InfraRecorder which worked first time and every time. Thank you for making my life a bit easier – please don’t change a thing! Burning a data CD/DVD or copying a disk is why I need a product like this. It does a great job for me, cheap and it works perfectly every time. Just installed this, looks GREAT! Burns Perfectly! Simple and honest. I threw away like 3 other burners apps I had, and NERO will be next, if this holds up to all my projects. Thanx. I don’t burn many DVDs or CDs anymore these days, but when I have to do it, I use this software. I like that it just works, has a classical user interface and focuses on only one task — burning all kinds of stuff to disks. 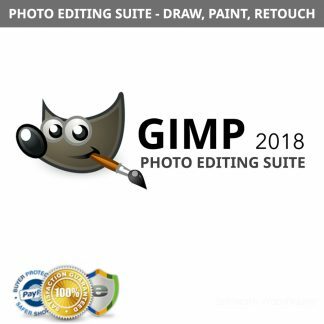 Simple & great software. (I hate those expensive burning apps that try to be a CD burner, media center, streaming server, and hair dryer, with a user interface that looks like a website full of ads.) Many thanks.